Disclaimer: I was given a free Rainbow kit for agreeing to write a review. The thoughts and opinions above are my own. Who doesn’t want their kid to eat more fruits and veggies? Yes, even this dietitian’s 4 year-old daughter could use a boost in her produce intake. Enter the “Today I Ate A Rainbow”™ kit. 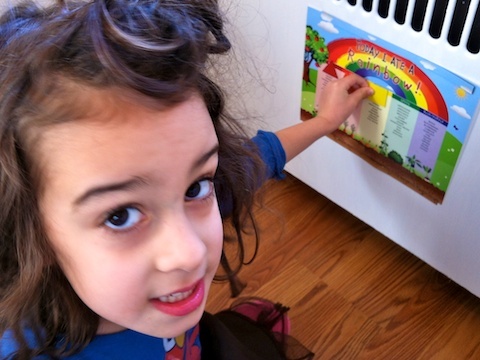 Using a very simple concept, Kia Robertson (inspired by her daughter Hannah) has created a magnet board which kids can track the different colors they eat each day. Does it work? I also found the board to be a great tracker for me on what she has (or hasn’t) eaten for the day – as well as a reminder for me to get a few more colors into my daily intake. One of Mia’s favorite snacks is a simple smoothie that I make with equal parts yogurt, milk and frozen mango. The Rainbow Board got me thinking of different color combos that include both fruits and veggies, thus the sampler idea. My favorite smoothie tip – use frozen fruit or veggies when possible to add thickness and a chill. One of the tasty ways to get in your fruits (and veggies) by way of fruit smoothies! 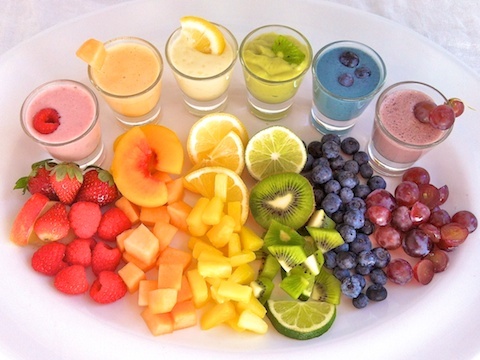 A rainbow of flavors with this simple smoothie recipe. In a blender, puree fruit, yogurt and milk until thoroughly blended. Add a little more milk if too thick. This is such a great visual! I love it! I love making smoothies. 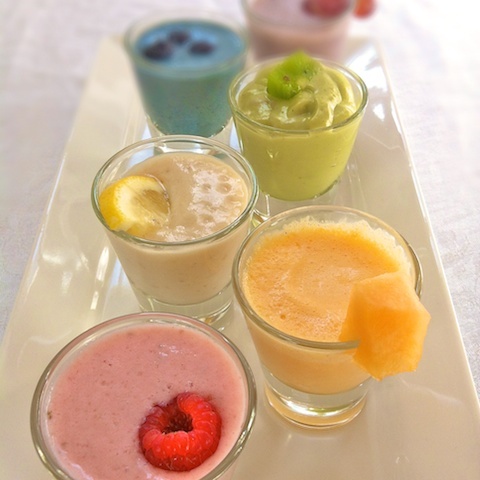 Thanks for the different idea combinations for making smoothies of different colors! 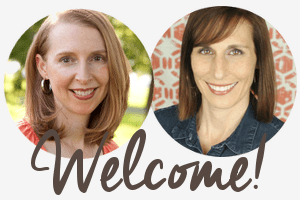 I follow your board on Pinterest! We would love to win the Today I Ate Rainbow™ Kit!! Thanks for the excellent review and giveaway!! Love your colorful smoothies and your giveaway-will share for sure! I’m not entering the giveaway (no kids! ), but I just wanted to tell you how AWESOME this post is! Great idea, and great pictures! Love this! 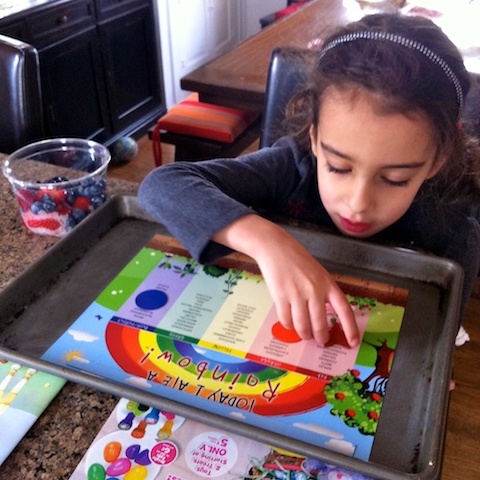 I have a picky eater, but I bet she would try new things for rainbow magnets! Concept is sheer brilliance! Getting kids onto healthy food choices marrying the thrill of the reward chart with the “eating with your eyes first” theory. Would be a hit in our household for sure. We’ve been reading that blog lately and talking about eating rainbows, and my three year old LOVES Hannah and Kia’s videos, but I haven’t yet bitten the bullet and actually paid for a chart. So I would LOVE to win one! Whozat – I’m so sorry but the giveaway ended on Monday. But thanks for commenting and personally, I think the chart is worth every penny! Just Tweeted about your give away !! Heather- thansk so much for the repost and link – I guess I need to change the title as the giveaway ended on Monday (I did post an update at the bottom but clearly it got buried 🙂 But thanks for your support all the same. I also re posted your link to my FB page…Heather’s Wee Wigglers where I also sell Today I Ate A Rainbow kits! All our friends and my daughter loves the book and magnets ! The smoothies are a great idea! I love smoothies, thanks for all the great ideas! I just pinned this to pinterest and it’s getting repinned like crazy!! I’m setting up a rainbow day for my son’s elementary school in the Spring. I LOVE the rainbow smoothies and magnet board! Can we use your picture and idea? Where do I find the magnet board? We may give a few away or sell some to parents. Sounds like a great idea for the school! Click on the links in the first paragraph – the board & magnets is from a site called “Today I Ate a Rainbow” – great product and mission! How do you make the BLUE one? In all honesty, for the photo I put in a few drops of blue food dye into the blueberry smoothie!